Lunchtime Round Up: Martial a target?, Marseille targeting Ayew?, Zabaleta the key for striker deal? Good afternoon Hammers. Here is today’s lunchtime round up. I rate Martial very highly and I think he has been very poorly treated by Mourinho. Whilst I would love it if we signed him, I just do not think he is a realistic target and I do not think he would join us either. I hope I am wrong on this though, because I think he would be an excellent addition. I do not think we should do business with Marseille ever again. They seem a horrible club to deal with, especially when you take the Payet situation into consideration. As for Ayew, I would not sell him anyway. He has been a big player for us since returning from injury, and I am excited to see what he can do with an injury free season. What a week for Declan. He gets his Premier League debut and then gets called up into the Ireland squad. This boy has a massive future ahead of him in my opinion. Congratulations Declan! This is such a brilliant gesture from the Sullivan’s. It is one of many reasons I do not slate our board like others do. The man in Manchester is a hero and he deserves his rewards after his actions on Monday night. 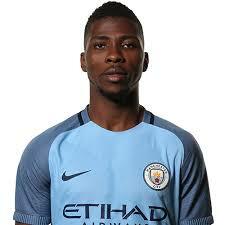 I will not complain if we sign Iheanacho. Whilst I do hope we sign Batshuayi ahead of him, I still think he is a brilliant striker with a massive future. If we do sign him instead of Batshuayi, I can see him becoming a huge player for us for a number of years.